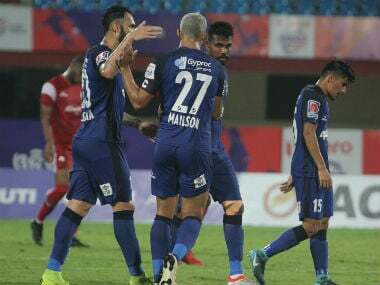 Kolkata: Former champions Atletico de Kolkata wasted about half-a-dozen opportunities to settle for a goalless draw against FC Pune City in their Indian Super League match in Kolkata on Friday. Their 35-year-old Spanish striker Juan Belencoso struggled woefully with his reflexes as ATK signed off their campaign in the league with eight draws from 14 matches. ATK, who have secured a berth in the semis for a record third season in a row, finished with 20 points from 14 matches as they will have to wait for the respective results of Delhi Dynamos FC and Kerala Blasters FC for their last-four opponent. Having adopted the Rabindra Sarovar Stadium after Vivekananda Yuva Bharati Krirangan was unavailable because of U-17 World Cup preparation, this was ATK's worst performance at home as they capped a solitary win here, while drawing five and losing one. FC Pune City finished with 16 points as coach Antonio Habas, ATK's former coach seen in the opponent's dugout in Kolkata for first time, struggled with his team combination in a match dominated by ATK. The home side received their best chance in the 78th minute with no one other than Belencoso missing the sitter of the season. First it was substitute Stephen Pearson who got the ball from Javi Lara at the edge of the box on the left before firing it straight at the goalkeeper. 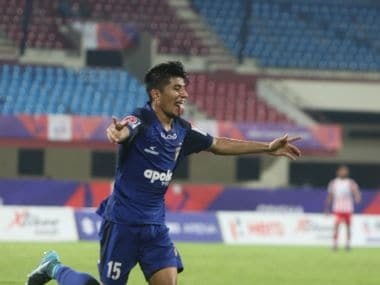 Arindam Bhattacharya punched it out and it fell straight at Belencoso's feet with an entire view of goal in front of him. But to everyone's dismay, the Spaniard put it wide of the post, something that summed up ATK's poor performances at home this season. Jose Molina brought in their ace striker Iain Hume with seven minutes left in the regulation time but the result was no different as they failed to strike even once. The first-half was no different as it was also a tale of missed chances. ATK straight away went into attacking mode earning a fourth minute freekick from the left flank with Ruidas on the prowl before he was fouled by Rahul Bheke. Lara shot a curling freekick but Arindam averted any danger tipping the ball over in what was the beginning of many of ATK's raids but none resulted in a goal for halftime stalemate. 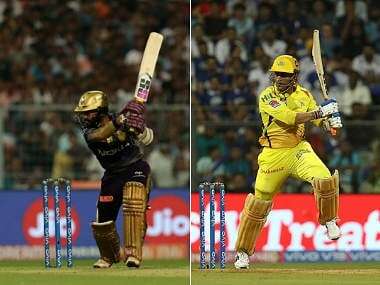 Ruidas and Lara continued to tease the Pune defence at ease with Belencoso in the role of the sole forward, making it look like a one-sided affair. The closest they came to scoring a goal was in the 19th minute when Belencoso was fed by a clinical Ruidas cross but the Spaniard's header managed to find only the sidenet. Three minutes later, Belencoso ballooned the ball over the net as the Spaniard this time could not adjust his angle before taking the shot. Earlier Molina made wholesale changes to their starting XI including goalkeeper Daniel Mallo opting to test his bench strength ahead of the semi-finals.